My grandson Josiah is very cute . . . oh yes, he asked me to call him, "cool and handsome" instead of "cute" since he is "too old" for "cute". He is very cool and handsome and while I'm his grandma and you would expect me to have this opinion of him, apparently the girls at his church and school are of the same opinion! A couple weeks ago, a friend of his parents was at my house and was telling me about how that Sunday morning at their church (they go to the same church as my son's family) a little girl ran up to Josiah and told him she wanted him to be her "boyfriend". He said, Josiah looked at her and ran away! I asked Josiah about it and he said she is a girl who is his friend, but not his "girlfriend"! He said there are actually two girls at his church who want him to be their "boyfriend" and two girls at his school who want him for their "boyfriend"! Then yesterday, he told me he was eating breakfast at school when a kindergarten girl came up to him and told him he is so "handsome"! At any rate, as I think about our conversation yesterday, I'm also thinking about the five most important things I want Josiah - and Caleb and Shane, to know. They are . . .
God loves you and wants you to love Him back and then know and walk with Him all your life. Really, is there anything more important for my grandsons to know in all of their lives? This is surely the most important! While this grandma believes you can grow up to be and do whatever you want to be, choose to be men who love God with all your heart and love others and you will have a life of joy, no matter what life brings your way. While you are cute, cool and handsome - at least as far as this grandma is concerned, being cute, cool and handsome inside is far, far more important! Grandma loves you and will always be oh, so happy to see you! Yes, there are many more things I want my grandsons to know . 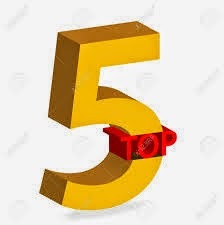 . . important things, but these five are most certainly at the top of my list! What is on the top of your list of most important things you want your grandchildren to know?